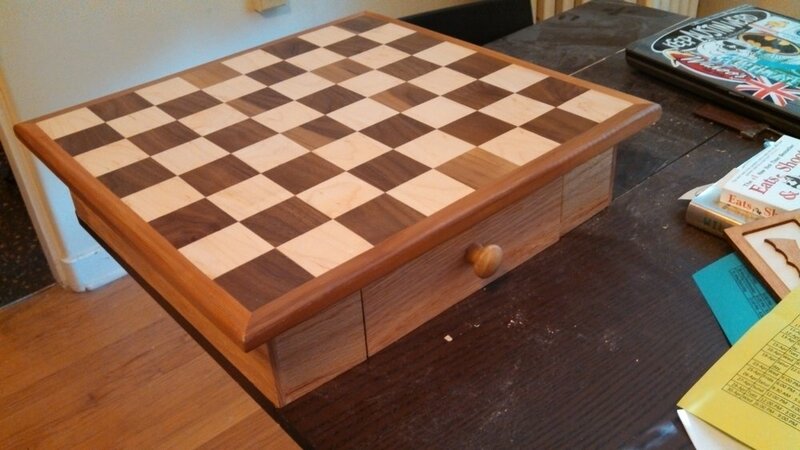 I've made quite a few chess boards as presents. I messed up my second attempt at making one and it became my first end grain cutting board. Making pieces is super annoying because it always takes significantly longer than you think that it will. 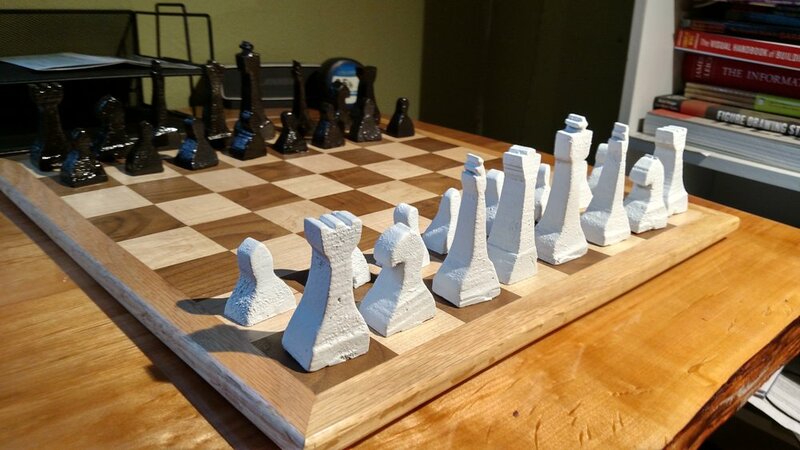 I've made a set of out Aluminum and Concrete and I've been planning on making a set out of wood but I've been putting it off because it will be a lot more wood carving than I want to do right now. Pictures of the different boards and sets I've made are below. 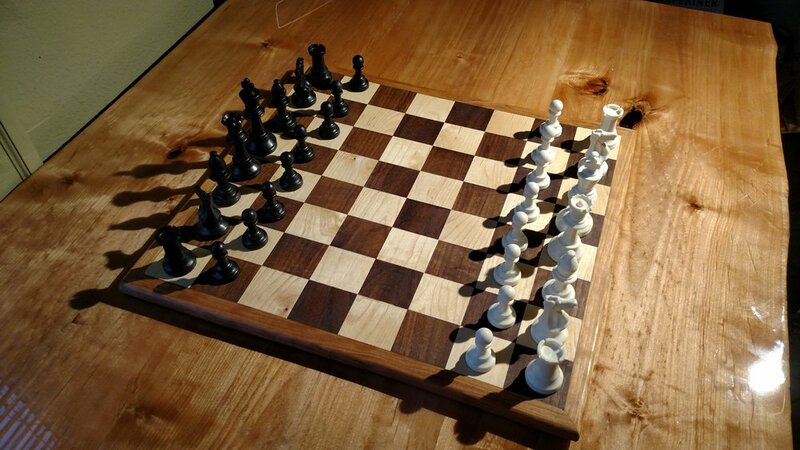 At some point I'll update this with the fancy new wooden chess set I've made but that might not be for a while.